SkillBites provides a variety of pre-publication, publication and post-publication services. Click on the term to see a list of the services in that category. SkillBites also offers packages, and can create a custom package for anyone who desires a different bundle of services than the packages we have developed. For a description of our author packages or to purchase a package, click here. Editing services are based on books meeting a threshold quality level. We will advise you if your book does not meet this standard. The prices are for books up to 15,000 words in length. We will be happy to provide a quote for longer books. Prices are exclusive of tax. Most people never finish writing their book because they lose focus, feel unsure how to proceed, get stuck or get overwhelmed. Whether you are writing a business book or a memoir, we can help you bust through these challenges by providing step-by-step guidance to help you finish writing your book. We will also serve as a sounding board, answer your questions and help refine your ideas. You can choose the amount of coaching you think you need and you can decide whether you want to schedule hour long coaching sessions or shorter sessions such as 30 minutes. Sessions will be by phone, and pre-scheduled at a mutually convenient time. 24 hour notice is required to reschedule a call. For more information, click here. We’ll put together a detailed outline of your book from the information you give us, to make it easier to get your book written. First, we’ll send you a workbook to review and think about your responses to the questions in it. Then we’ll schedule a call with you (either by phone or Skype) for up to 90 minutes to go over the workbook and fill it in. If we are not able to go through the entire workbook over the call, we will fill in the portion we were able to get through and send it to you for your review. You can either fill out the rest yourself or schedule another call with us to complete the remaining information, at a fee of $200/hour. After the workbook is completed and approved, we’ll schedule a second call for up to 90 minutes to go into more detail about your book. We’ll then put together an outline of your book and send it to you for your input. We’ll incorporate your feedback into the outline and send you a revised version. You can take the outline and write your book yourself, or if you would like us to write the book for you, we’ll give you a quote to do so. We can also provide you a quote for other services, such as editing, book layout and formatting, cover design and publication. This service will help you evaluate whether you are writing the RIGHT book, and will provide you with a plan of the steps needed to enable you to achieve the results you seek. Have you selected an appropriate topic? Have you identified the right target audience? Get these and other critical questions answered so you know you are on the right track with the book you are writing before you waste time and effort. 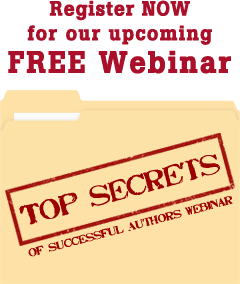 You will receive a workbook to walk you through the steps for writing the right book. We’ll schedule a mutually convenient time for a phone conference with you, and then we’ll develop a strategic book plan for you. This review entitles the author to a free 2nd review after the author makes the recommended changes. The editor will review changes that were made based on the recommendations in the initial edit. Proofreading focuses on correcting errors in spelling, punctuation, grammar and capitalization. The proofreader will also identify basic language usage issues and suggest changes with word choice in cases involving an overused word, or when a different word might better convey the intended meaning. We will provide a well-designed layout for your book including the title page, front and end matter, table of contents, text fonts, and headers and footers. Creation of an index is not included but can be provided for an additional fee. We will also format your book for publishing as an eBook and print book on Amazon. We will provide you with two sample layout designs from which you can choose the style that you prefer. This level is available for books with up to 5 images, tables, sidebars or pulls quotes. This is for books that are more complex, including up to 20 images, tables, sidebars or pulls quotes, multiple level chapter headings and lists, footnotes or endnotes. * Additional images, tables, sidebars or pull quotes can be included for $2 each. We will provide you with two sample layout designs from which you can choose the style that you prefer. We will also include one set of up to 20 text revisions and layout revisions at no charge. Additional text revisions are $1 each plus a $20 PDF recreation fee; additional layout revisions are $25 per revision. This service also provides you with an .epub file for uploading your eBook to Barnes & Noble and other major online book retailers. *For more complicated books, such as photo books or cookbooks, with complex tables, charts or graphs, two-column layout, images with text wrap and the such, we will provide a custom quote. We will spend up to one hour with you recommending ways you can promote your book before it gets published, to build anticipation for your book launch.